Teaching is undoubtedly one of the noblest professions in the world, but do teachers ever get the credit they deserve? Teachers, especially those who teach in schools, have the biggest responsibility on their hands—that of molding tender young minds into caring and responsible citizens of the world. 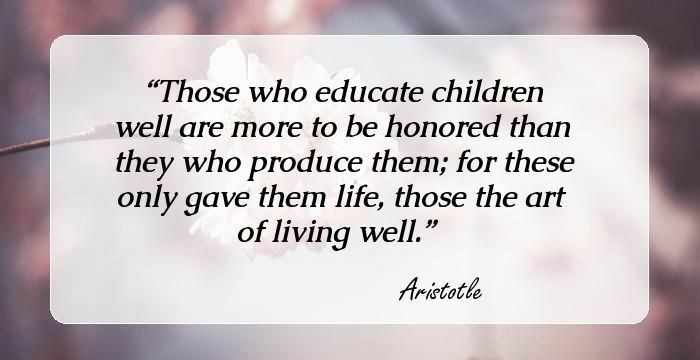 The children and the youth are the future of the world, and it is very important that they receive the best possible intellectual stimulation to promote their curiosity and develop their sense of ethics. Being a teacher is not an easy job! Dealing with students with varied personalities and interests, coming from different social classes and backgrounds, requires a great deal of maturity and tactfulness. Plus it is such a mentally taxing job—no teacher can remain emotionally detached from their students for long, and it is not uncommon for students to confide their personal problems to their teachers. Yet teachers never get the due credit they deserve. 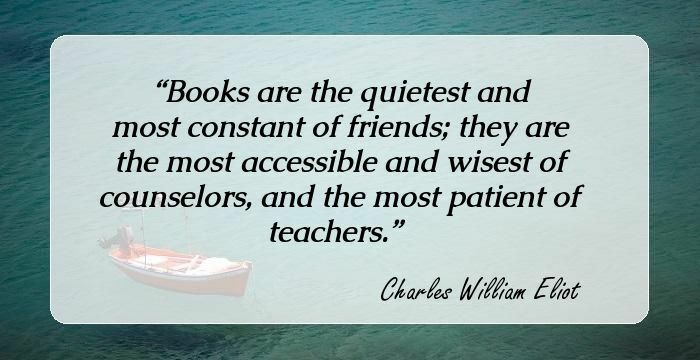 That is why we have compiled this collection of quotations about teachers which will remind you of the significant roles teachers play in our society. 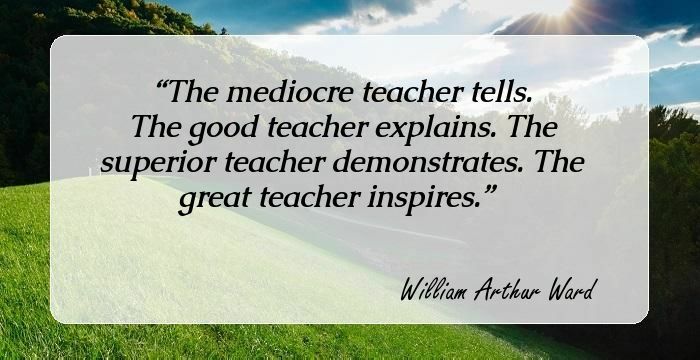 When you study great teachers... you will learn much more from their caring and hard work than from their style. The real heroes are the librarians and teachers who at no small risk to themselves refuse to lie down and play dead for censors. You can't stop a teacher when they want to do something. They just do it. Once in a while our school has half days, and the teachers spend the afternoon 'in service,' which I think must be a group therapy for having to deal with us. Teaching is a calling too. And I've always thought that teachers in their way are holy - angels leading their flocks out of the darkness. True patience is grounded in wisdom & compassion. Our children are only as brilliant as we allow them to be. I have noticed that teachers get exciting confused with boring a lot. It's weird when you hear teachers call each other by their first names. It's like they're friends or something. They say faith is taking the first step when you can't see the whole staircase. Actually, wisdom is seeing the elevator behind it that would have taken you to the top floor. When teachers doubt your potential, show them how wrong they truly are. Professors go batty too, perhaps more often than other people, although owing to their profession, their madness is less often remarked. But it had no doubt sprung from true emotion, for all that parents ever wanted, really, was for you to love their child the way they did. The only people you have to look out for in life are the people that don't care about anything or anyone. These are the people that end up teaching your children. ...teaching is, after all, a form of show business. She'll soon forget." "Caddy," said Saffron impatiently, "she is headmistress of the private school! She's probably never forgotten anything in her whole life! There's a lesson in every silence. AWESOME TEACHERS recognize different abilities, take time to listen, go beyond the textbooks, and inspire from the heart!